The MSE Maryland Mania Basketball Camp was a top notch regional event. New and familiar faces in grades 2nd through 8th emerged as young budding athletes. We bring you exclusive write up’s on some of the standouts and top performers in the building. Age is just a number for gifted 5th grader, Zion Harmon, from the great basketball state of Maryland. At camp, he played his age group and played up. He looked good on both levels and showed he understands space and angles. However, Harmon’s national rank could drop considerably, since he’s far from a team player, which is required from point guards. He might be a shooting guard, but he’ll have to get some length. As point guard you MUST get players better and teammates involved, and most of all win. Zion should begin his new pass first game immediately. He’ll have to play this way in the future. If LeBron James and Kevin Durant was on his team, he’ll have to pass the ball to them. Act like your teammate is professional like Blake Griffin and pass him the rock in fashion. So what if they miss the pass or shot; at least you did your job. Why start playing PG when it could be too late? Practice being like John Stockton today! Why Stockton and not Steve Nash or Chris Paul? Stockton had the most assists and steals in NBA history. And, no player will come close to breaking his record. Stockton wasn’t just a “point guard” by name, he was very unselfish. So, this may be good advice for those true PG’s hoping to compete at the highest level. Good coaches usually won’t pass up these particular guards, especially if you’re a throw back Stockton. In conclusion, Zion has a high IQ and skill set. He can attack the basket at will and has unlimited range with his jumper. He needs to get a little quicker and use a change of speed with the ball, but he has a yo-yo handle that works beautifully. Zion is a strong player and unique individual, however; he’s top performer at camp because of his surprisingly tenacious defense. #13 is a true fourth grader. U still my be correct by ranking him there. he was one of the best true point guards regardless of age. Everyone wanted to be on his team, I have never seen that at a so called all-star camp. Makes everyone better. MSE Elite – your comments about passing the ball and being a team player are surprising – though refreshing. If true team players were valued at these type of “who scored the most” and “who hogged the ball” camps – the rankings would be very different than most would think – with Class of 2022 in mind. Because he’s not in the class of 2021. He is 2022. As for the #1 player Zion. Mse is saying the truth. He shots the ball a lot. I am surprise that MSE went their on him. Someone needed to though. We know he can put the ball in the hole but can he make a average player look great. We will see in the future. Sammy is no Zion. Zion’s IQ, fierceness, and skill level is on another level. It should be – he is much older. 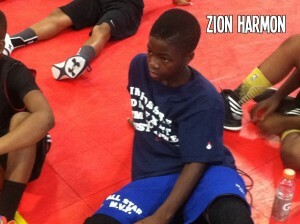 Zion is a true 12u player. He gets bad press as an “age exception 11u” 2021 player – the controversial side of being an “age exception.” Sammy will be deservingly near the top of 2022 (10u). Your opinion should mean something. Rankings should mean something. Your credibility everything. Inconsistency is telling. Politics are for the birds. We ball hard. Sammy Scott …#13 …. Without all the politics, he’s top 5! Sammy over Barry Evans No way. BARRY EVANS MADE THE U.S.A.25 PLAYERS FOR THAT TEAM Sam can play but not over Barry Evans. LOL. These things are funny. So no big men? Not one Forward or god forbid center. No wonder kids can’t play team ball. Funy? Ok. We aren’t sure if they’re big/centers, forwards, guards or pg’s yet, because they’re still so young.. and they’ll grow, but who knows how tall. Listen players. If you’re ranked a guard at MSE camp please continue to work on the following: ball handle, passing, scoring, footwork, teammate involved, cutting, IQ and the position you ultimately play you’ll have a fundamental edge. Stay tuned for MSE Point Guard Camp to learn our secrets and tricks for playing the hardest and most fun position in hoops. Big men invited too! Most scouts look at 3 things in athletes, we look at one thing- Skill. MSE your evals are becoming more fair and balance. Sites like Dunk Dog do a great job at evaluating kids because it gives the good and the need improvements. Any good team you see plays good team ball. The other team may be more skillful….having to defend 5 players v.s. the one makes any team harder to beat. On good teams, points respect and use the bigs and bigs respect and work hard for the points. Without that you just a team of self players hogging the ball taking crazy shots because you don’t know how to play the game. Today scouts praise the pg who can shoot the long range and get to basket and get players involved. That’s great. What is difficult about playing the position and the fact remains is you have to be a facilitator. If you can win without scoring and make defensive stops then you’ve done a great job. Shooting treys and driving is easiest thing in hoop but just getting players better is hardest because have much more responsibility beside looking out for self. It’s too easy to chuck a shot, hit or miss because that’s individual, but can u create same shot opportunities again and again for someone else perhaps a teammate??? Can you repeatedly do just that? It’s almost impossible because must be very selfish in a world that’s yours. That’s why most pg’s shoot they’re not totally used to team first. Much respect to the true pg’s Chase Adams, Marquise Walkers, Mike Saunders, Jalen Suggs, Jerimiah Fransis…they all about team first and getting everyone involved. All they do is win games while doing it. I think all of the kids did a wonderful job… Every kid has something they all can continue to work on to help make them better players……Not sure what some of these ranking camps are trying to achieve but I do appreciate the point of playing team ball.. That, along with hard work and dedication will take them a long way in this sport……Please remember there is always someone watching how the kids play on and off the court….ATTITUDE is very important as well…… Being talented is one thing. Being COACHABLE is the key to it all…………These kids are the future and we must put them on the right path and in the right situations to be the best they can be….. I wish there was one of these in the south. We started to come up and play in this one, but saw that is was mostly a MD event. Have you heard of this 6’2″ 8th grader named Uduakobong Essien? He has handles with a sick post game. Next one up out of Chino Hills (Freshman on varsity next year, by the way). Just watch out for him. He will be on everyone’s radar next year. Tyler Hatcher (Class 2021) can splash’em with the best of’em period.Played 14u @ 12yrs posting double doubles most games.